The U.S. Department of Transportation’s (DOT) Federal Transit Administration (FTA) today announced last week $84.45 million in grant selections through the Low- or No-Emission (Low-No) Grant program, which funds the deployment of transit buses and infrastructure that use advanced propulsion technologies. Fifty-two projects in 41 states will receive a share of the funding. “Communities across America will benefit from these investments in their transportation infrastructure,” said U.S. Transportation Secretary Elaine L. Chao. Eligible projects include the purchase or lease of buses that are powered by modern systems such as hybrid or battery electric engines, as well as related infrastructure investments such as charging stations. 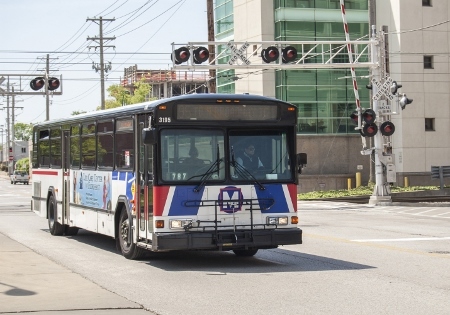 In Missouri, the Bi-State Development Agency (Metro) will receive $1.5 million in funds to purchase battery electric buses and infrastructure, including power distribution panels and chargers.